WHY TALK ABOUT HOUSE SPARROWS? Because the House Sparrow is your Bluebird's #1 enemy, if the House Sparrow wants to breed in your boxes. You need to read up and learn about this little bad bird. In many places you can read, that if you do not have House Sparrows, and you do have Bluebirds, you should be able to have the Bluebirds breed successfully. 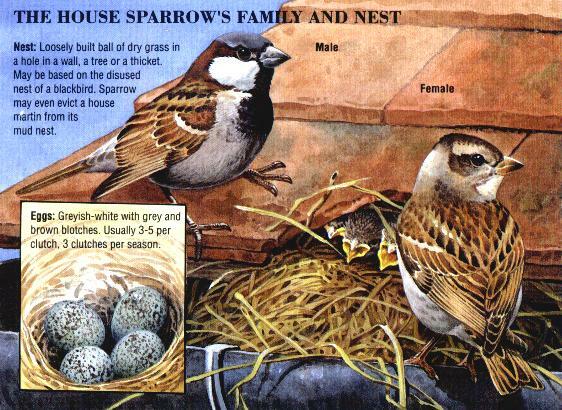 Click Links to sites about House Sparrows, and read read read. You can make your own decision as to what you may need to do to help your Bluebirds have successful breeding. Learn why this is a Bad Bad Bird not just for Bluebirds, but for all birds. Learn before you lose your Bluebirds to the House Sparrow. 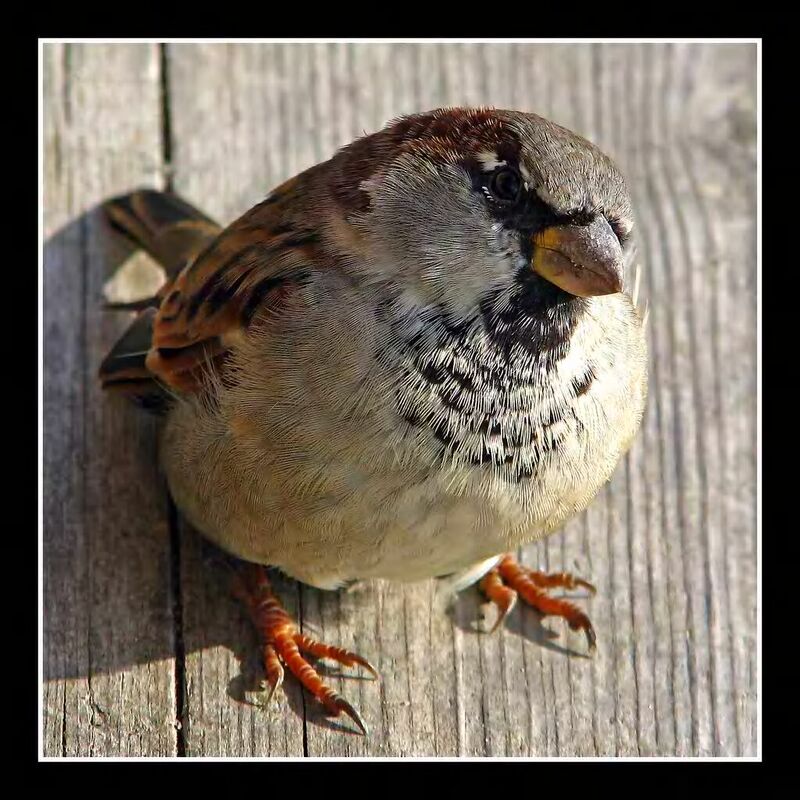 Understand why there needs to be House Sparrow Control both Passive and Aggressive. Note: I had had this site linked to a site that had every piece of information good and bad on the House Sparrow, but it was moved or is gone. I will still be looking, and if you find it please send me an e-mail. This Information is from: Better Pest Control Inc.
English House Sparrows and the Avenging Angel of Death - Good pics on differences of look alike birds. Interesting point of view. House Sparrow by Steve Eno - This site offers a little bit of everything such as History and Passive and Aggressive Control. Sialis -(On left click House Sparrow Control)Managing House Sparrows - Many Links to all types of House Sparrow information. University of South Florida House or English Sparrow- This paper was written from the Florida point of view. Note that the House Sparrow is Florida's most common bird! 10 Minute Sparrow Trap by Steve Gruenke Easy & Free instructions with drawings. A Sparrow Trap - Free step by step instuctions with photos!